I'll send a signed copy of Raising Rain to the person who can find an author's last name in the phrase: FOUR CALLING BIRDS and name a title by that author OR submit a book title with one of the words from the phrase and the author. Submit your entry using the "Contact" button above. See complete details for the contest on the November 23rd post. Good Luck! The winner will be announced on Wednesday, December 2nd. The authors of Novel Matters (Sharon K. Souza, Debbie Fuller Thomas, Latayne C. Scott, Patti Hill, Kathleen Popa, and Bonnie Grove), together with the authors and brilliant minds behind She Reads (Ariel Allison and Marybeth Whalen) announce a partnership designed to bring writers and readers together in a new, dynamic way. She Reads blog is all about “Discovering Great Fiction Together.” Their motto is "The proper care and feeding of readers." Since their inception, She Reads has reached out to the reading community and provided a place for discussion, book clubs, events, contests, and arranged ‘close encounters’ for readers and writers to connect. Each quarter, She Reads chooses three “picks” to share with their readership. They are part of Proverbs 31 Ministries – an important and dynamic ministry to and for women. Novel Matters blog is a community that celebrates the creative process of writing. We explore what matters in novels. We are six published authors – our combined books number 27. We have teamed to build a community populated by authors, writers, hopeful writers, readers, and people interested in the different ways of expressing creativity, language, and ideas. The partnership between these two groups opens new opportunities for readers and for authors. To paraphrase author Kevin Crossley-Holland, we hope to create a "room with big windows" where readers can come into the lives of published authors who struggle daily with words and authors can partake of the privilege of meeting and sharing with readers. Each site of course will maintain its own identity, as a readers' community and a writers' community. Twice a month, an author from Novel Matters will post on the She Reads blog, giving insight to the creative process, answering reader questions, and revelling in our shared love of books and reading. Yes, Novel Matters is populated with authors, but each author is also an avid reader. We devour books and love to talk about our reading experiences. Once a month, an author from She Reads will post on Novel Matters – bringing a wealth of insight on how authors can reach readers. This goes beyond marketing tips. The instruction they bring will help authors build trust with readers, and touch their hearts. She Reads and Novel Matters are dreaming big dreams -- of glimpses into each others' worlds -- a place of community where you Read Novels -- where the She of each of you truly Matters to authors who care about their craft and their readers. Please welcome Ariel and Marybeth! It’s funny how the best friendships are often started over a cup of coffee and a great conversation. Or, in the case of the She Reads Directors, Ariel Allison and Marybeth Whalen, an e-mail that basically said, “Hi, you don’t know me, but we will be friends!” (Ariel’s fault – she’s long been in the habit of plucking her friends at random with a gut feeling and a bold invitation). Yet even in friendship, there must be commonality and for these two women it boiled down to books (and children – they have ten between the two of them). They love to read, they love to write, and they love to recommend books to others. Over the course of countless sessions of Gmail chat they came to the conclusion that book clubs are rather elusive entities. They are scattered, independent, and numerous. Yet book clubs are the heart of the publishing industry, and the key to reaching readers on a large scale. Thus the idea for an umbrella organization, specifically designed to meet the needs of book clubs and individual readers, was formed. As a long time member of the Proverbs 31 Ministries speaker team, Marybeth suggested the idea to the organization as a way to expand the reach of their ministry. There are countless women who would never darken the door of a church or attend a Bible study but would go to a book club and discuss a Christian novel. It was only a matter of weeks before Proverbs warmly pulled She Reads into the fold. And here they are, just four months later reaching thousands of readers each month. Dozens of She Reads book clubs have formed, and many existing clubs have come under the She Reads umbrella. Women hunger for novels that matter and for authors that are approachable. She Reads exists to bridge the gap between the two. Marybeth Whalen is the wife of Curt and mom of six children. The family lives outside Charlotte, NC. Marybeth is a member of the Proverbs 31 Ministries speaker team and a regular contributor to their daily devotions. She served as general editor of For The Write Reason and The Reason We Speak. She and her husband Curt co-authored Learning To Live Financially Free and her first novel, The Mailbox will be released in June 2010. Marybeth speaks regularly to women's groups and enjoys sharing stories from her daily adventures as a wife, mom, writer, and, most importantly, a follower of God. 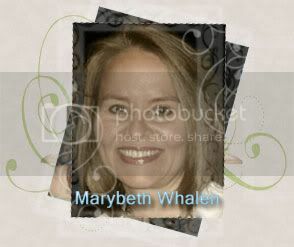 You can find her online at www.marybethwhalen.com. 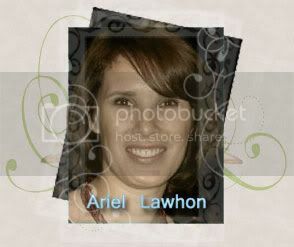 Ariel Allison is first and foremost the wife of Ashley, and mother of London, Parker, Marshall, and Colby. She has a penchant for adrenaline-infused madness such as rock climbing, running marathons, and jumping off bridges – as if raising four pre-school boys were not adventure enough. Her first novel, Eye of the God, released in October 2009, from Abingdon Press. She is the co-author of Daddy Do You Love Me: a Daughter’s Journey of Faith and Restoration, and Jesus: Dead or Alive. When not immersed in a book, changing a diaper, or rescuing her dog from the death-grip of a toddler, you can find Ariel loitering in her little corner of cyberspace at www.arielallison.com. She and her family make their home in Texas, which is, according to her husband, the greatest state in the union. What a wonderful new endeavor. Your collaboration with She Reads sounds like a perfect opportunity. I just know readers will love hearing from authors and writers will love learning how to better connect with readers. Sounds like a match made in heaven! Blessings all around! She Reads could not be more pleased about this partnership! We believe that when readers and writers join together, the power of story is at its strongest. Here's to many years of forging relationships between those who write novels and those who read them! What a great idea! This is exciting! As a reader ( I am currently reading Raising Rain by Debbie Fuller Thomas - while not having a lot of testosterone, it is a great read about becoming self-aware of who you are in life. Me and Neil would get along great!) and a someday writer, I look forward to this partnership and becoming much more immersed in the world of great Christian Fiction. Welcome to the She Reads ladies and blessings on you and your ministry. Congrats to all of you! A wonderful endeavor! This is a fantastic combined effort. Visitors to this site who write and those who enjoy reading will benefit. I look forward to even more enlightening postings and comments here. All the best. Pat D.
Thanks, everyone, for your comments. We're very excited about this union. There's so much to explore when it comes to writing -- and reading! -- and this just opens wide the world of exploration. We love hearing from all of you, and look forward to your continued input. Thanks everyone, for all your encouraging comments! It will take time and communication, but we are excited about building that bridge between readers and writers. I wonder how many readers know how very much authors want to interact with them? I've learned so much from readers - things I would have never known or understood if I had not had the joy of interacting with them. I'm looking forward to the friendships, fun, and idea sharing the New Year will bring! Cool idea! Looking forward to seeing what happens.